Homology involves the theory that macroevolutionary relationships can be proven by the similarity in the anatomy and physiology of different animals. Since Darwin, homology has been cited in textbooks as a major proof for evolution. A review of the literature on homology indicates that the theory does not provide evidence for evolutionary naturalism, and that the common examples of homology can be better explained by Creation. Furthermore, increased knowledge about the genetic and molecular basis of life has revealed many major exceptions and contradictions to the theory which, as a result, have largely negated homology as a proof of evolution. Hitchhiker’ thumb: People who can bend the last joint of their thumb back to an angle of 60 degrees or more have the recessive allele h and those who cannot have the dominant allele, H.
No biological or logical requirement exists to vary the design of bones, muscles and nerves needlessly in every living form beyond what is necessary to adapt the animal to its environment. Although variety is universal in the natural world, variety that interferes with the life process or an animal’ survival usually is avoided in animal design. Design constraints severely limit the possible variations in an animal’ anatomy, and excess deviation from the ideal can interfere with the animal’ ability to survive. Moreover, if some vestigial organs can be proven to exist, they provide support not for evolution, but for de-evolution|--|i.e. evolution-in-reverse. What the evolutionists must demonstrate is that the development of new and useful organs is occurring today. They also must prove that a process exists that can form new structures called nascent organs, instead of trying to document that once-useful organs now are useless. Evidence for the development of new organs, or those in the process of evolving, would be evidence of evolution. As of now, no evidence of any nascent organ exists. This research supports ReMine’ biotic message theory, the conclusion that the natural world was specifically designed to look like it did not evolve, but was created.35 ReMine uses a wide variety of examples to support his thesis which has been very favorably reviewed by the creationist community. ReMine notes that homology has been used as evidence against a designer for decades, but as this review shows, it strongly supports the biotic message theory. 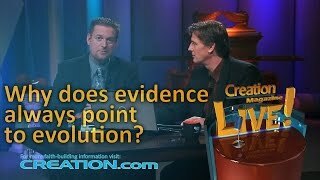 Why do most scientists accept macroevolution theory? A major reason is that it is now the accepted world view of scientists—an idea to which they are exposed from the earliest days of training, and by which they are surrounded daily. Most scientists are influenced by social pressure, and many believers fear recriminations from their fellow scientists if they do not conform to what currently is viewed as correct. To prove their orthodoxy, many scientists have become unscientific and have embraced the religion of 20th century-naturalism.50 Belief in evolutionism requires a credulity induced partly by pressure to conform to a world of science that is saturated with naturalism. 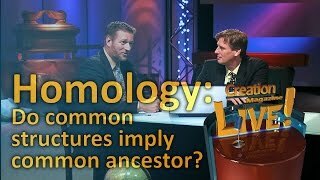 Homology -- do common structures imply common ancestor? Jones, A.J., A creationist critique of homology, CRSQ, 19(3):156-175, 1981. Hickman, C., Roberts, L. and Larson, A., Integrated Principles of Zoology, William C. Brown, Dubuque, pp. 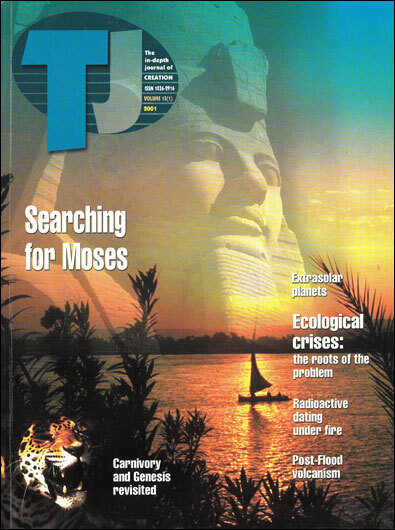 159-160, 1996. Darwin, C., The Origin of Species, 6th Ed., pp. 434-435, 1872. Dobzhansky, T., Evolution; Genetics and Man, John Wiley & Sons, New York, pp. 227-228, 1959. Boyden, A., Homology and analogy. A critical review of the meaning and implications of these concepts in biology, The American Midland Naturalist 37(3):648-669, 1947. Huxley, T.H., The anniversary address of the President, Quarterly Journal of the Geology Society of London 26:XLII-LXIV, 1870. Gould, S.J., Wonderful Life, W.W. Norton, New York, pp. 233-234, 1989. Howitt, J., Evolution, Science Falsely So-Called, Christian Crusade, Toronto, p. 27, 1970. 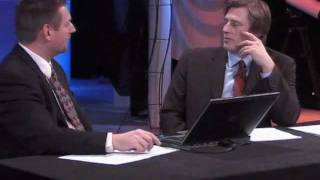 Scadding, S.R., Do vestigial organs provide evidence for evolution? Evolutionary Theory 5:173-176, 1981.
de Beer, Ref. 31, pp. 8-9. Kimball, J., Biology, Addison-Wesley Pub., Reading, p. 547, 1965. Wells J., Icons of Evolution, Regnery, Washington, pp. 73-77, 2000.